Trial Flight Vouchers are valid for one year and make ideal presents for friends and family. 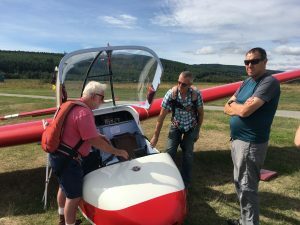 All vouchers include a full briefing, glider hire and 3 months membership of Deeside Gliding Club. Order online and we will immediately e-mail you a flight voucher. Please note that the person flying will need to comply with certain mandatory and medical notes. These notes can be viewed by clicking on the button below.